PhotoAncestry? Photo Ancestry? Which is it and what is it? What is Photoancestry? It's like having your very own professional genealogist and photo restoration artist. Well, we’re talking about restoring more than just restoring photos. We’re talking about restoring your family history. We’re talking about restoring your family legacy, which is something that will last far beyond your years. After almost a year of preparation, we are finally ready to launch "Photo Ancestry," which is a trademarked service package. It's our flagship product, and it endeavors to restore photographs of all types, trace a family's genealogy, evaluate records that mention the client's ancestors, offer information about kinship theory, find historical documents and provide substantially enhanced versions of photographs. As of today, I think we may be the only business that provides these cutting-edge services as a single package for one low price and everyone can now access the expertise of our relentless researchers to determine the identities of forebears and origins of each individual and vital facts about multiple family members. You’ll discover your family tree and uncover the unknown in damaged photos. We want to ensure that you know who your great-grandmother was. We hope to tell you who your 2nd and 3rd and 4th great grandmothers were. We want the photos in that old box to look absolutely gorgeous. In order to achieve these goals, our specialists can typically repair photographs that have been subjected to floods, excessive sunlight, and corrosive compounds. If a picture has been severely ripped, we are generally able to restore the photo and to combine the various pieces with one another. There is a fantastic example of a shattered picture on our website. About 6 months ago, a customer brought in a picture of her grandfather, who was in World War I. The photo was a disaster – in about 11 pieces. Check out our page to see what it looks like now. With our antique photo restoration service, we can also repair sections of a photograph that may be severely faded and pictures that are particularly fragile. We want to offer a unique product to everyone out there with a box of old pictures they cannot identify. So, to fix old photos, we may modify tones, contrast, overall brightness, or saturation levels of each image. This strategy will allow the photograph restoration specialists to identify details that were previously hidden from sight. During picture editing, our artists may remove mold, which can accumulate in a damp attic or basements with high levels of moisture. Likewise, the photo refinishing experts are able to extract embedded particles of dirt that may obscure vital details. We want everyone who needs to find out who their ancestors to have the reaction we’ve seen in folks so many times. It’s that giant smile that appears when someone looks at a restored photograph for the first time and sees what great-grandpa Lesley actually looked like. Sometimes, we see much more than smiles. Sometimes, we see tears of joy. That’s what Photoancestry is all about. I know it’s the chief reason I keep doing this work. When you select the Photoancestry service package, our analysts can repair and refinish “ambrotypes” that feature glass, something especially popular during the 1850s. We even fully restore tin-type pictures that typically feature a piece of metal and enamel. Some of the photographs also have lacquer that is compatible with colloid, which is commonly used in images that were captured between 1855 and 1950. When we fix an old photo that features your ancestors and other loved ones, we may also indicate the time period during which the photograph was captured, the type of camera that was used, the photo's material and the resolution of the image. During your project, our Houston professional genealogist team will provide detailed evaluations of your photo restorations and may indicate the deadline for each milestone. Many Photoancestry projects will require an actual project manager, depending on the depth of research. Several factors impact the extent of each project, including the number of generations you wish to investigate, whether we conduct genetic DNA testing, and even what state your ancestors lived in. For example, I have a 3rd great-grandfather who grew up in a place called Lookout Mountain, Tennessee. Unfortunately, much of this entire area was burned to the ground by Union soldiers during the civil war. Almost NO paper records exist. Items like this can make a project significantly more challenging. Still, Heritage will ALWAYS be up front about potential roadblocks during our initial analysis of your genealogy research needs. We want everyone to take a ride with us: Let’s Restore YOUR Yesteryear together, and we want to offer it one simple package. First, we do far more than just scan and fix old photos. We utilize state-of-the-art devices capable of scanning at resolutions many times higher than any scanner you can buy in a store today. You cannot get scanning like this at the typical print shop, and the company's cutting-edge equipment is also able to scan slides or negatives. Scanners have come a long way… You can walk into Best Buy or log onto Amazon and buy a scanner that will do 2400dpi (dots per inch). Heritage commercial-grade scanners operate at levels up to 18,000dpi. Want to see a postage stamp turned into a gorgeous 16”x20” work of art? Come hang out at the studio with us. While offering PhotoAncestry services, we can create groups of photographs that were taken during particular years and pictures that show specific settings, and your digital scanning is all placed on a set of DVDs. Also, you may request a large number of copies of individual photographs, and multiple modified versions of each picture can be created by our dedicated team of researchers. Not interested in that? We can create your own family photo website over at SmugMug.com. Once we do that, the only thing you need to do is pay SmugMug their very reasonable rate of $5 per month. We will also restore pieces of painted art, and during the project, you may create a list of requested modifications and indicate the types of damage that the painting may have sustained. Moreover, the photo retouching experts are able to repair especially old documents that could provide information about family members, and we want to offer it one simple package. You may provide copies of damaged photos, or you may send the originals to us. Please place soft materials between the photographs and the box that holds the pictures. When shipping photos, you might place flat pieces of plastic or other stiff material directly below the photographs to prevent the prints from bending. Each client should always get a tracking number and email it to us ASAP. Furthermore, we will provide a notification as soon as we receive the items. Once finished, we will return the original photographs to you. As always, return shipping is free. If a client lives within 100 miles of Houston, Texas, one of us will pick up your pictures for free. By using the website's contact page, you may upload your already scanned photographs, sketched pictures of family members and drawn art. We are ready to offer service to the entire world, so our experts can provide a detailed list of instructions for clients who ship photographs internationally. Please call or use the contact form if you live outside the United States and Canada. In general, international shipments will reach our Houston photo refinishing specialists within 7 to 10 days. If you want photo restoration alone, then once your images are refinished we will email you “proofs.” We do NOT print photos until you have approved the proofs. This prevents any confusion down the line. If you’ve selected the Photoancestry package, some of this may take a little longer. When evaluating your genealogy project, our Houston Genealogist Team will have access to databases that have been created by a wide array of organizations. Each listing can indicate a person's date of birth, the individual's location and the duration of the family member's life, and the database may also provide a list of the person's predecessors. Sometimes, a professional genealogist has to make a significant number of phone calls and request old records from local organizations. Finally, we don’t mind getting on a plane if we need to have boots on the ground in some remote location to obtain the information you want. 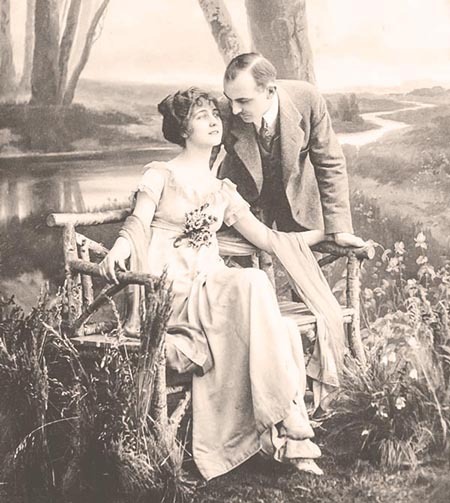 By examining historical records, our professional genealogist team will typically determine each ancestor's parents, siblings, close friends, and spouse. Subsequently, the specialists may find and organize photographs that are related to friends of the family and business associates. We want to offer a unique product to everyone out there with a box of old pictures they cannot identify. 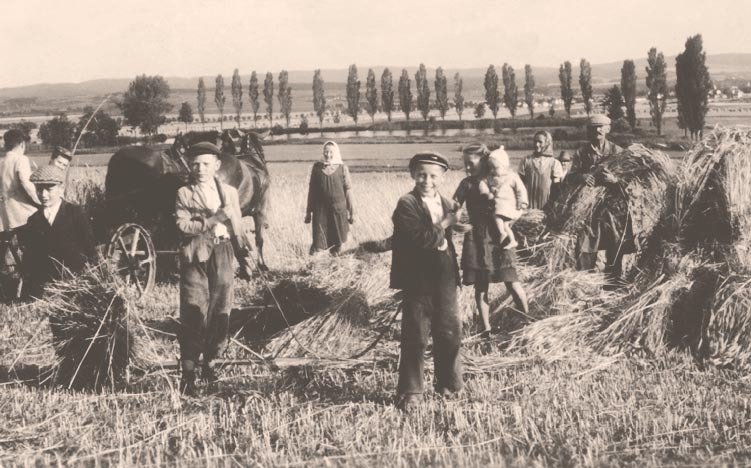 We want everyone who needs to find out who their great uncles and their great aunts are so the company will analyze documents that describe plots of land that an individual owned, businesses that a forebear managed and homes that the person purchased. This is precisely how I found out that my maternal 2nd great grandfather went to prison in Texas for horse theft! We commonly analyze military records in order to find descriptions of deployments, the duration of each soldier's service, lists of dependents, each ancestor's rank, the main tasks of the soldier and the name of the individual's unit. Additionally, the experts can frequently obtain a list of medals and awards that each soldier received. When a client owns books and diaries that are related to the customer's family, our experts can analyze the texts to find vital facts about relatives, the locations of individual ancestors and activities that each family member enjoyed. We want to offer a unique product to everyone out there with a box of old pictures they cannot identify. We want everyone who needs to find out who their great grandparents are, and sometimes, our experts can determine the identities of all the way up to 12 great grandparents within one week of the project's commencement. Old Family Bibles are often a treasure-trove. If you have an old family bible, we would love to see it and make a few copies as your Photoancestry project kicks off. Sounds Great. What am I going to pay for this? Professional genealogy is not just for the wealthy, and we provide rates that are based on the number of photographs, the overall availability of materials, the deadlines and the conditions of various images. Our Houston photo refinishing artists guarantee the satisfaction of every customer, and the experts provide service to the whole world. 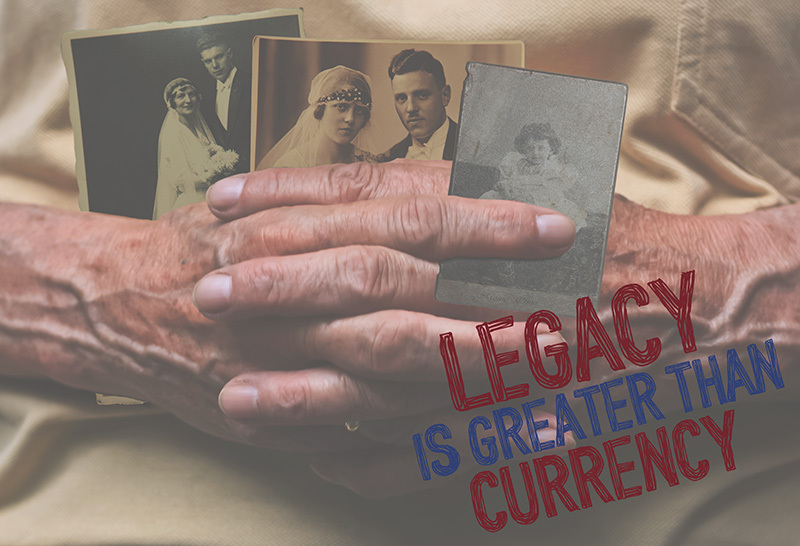 Genealogy is generally performed at a flat hourly rate, but with the Photoancestry package, we will give you a quote for all of the photo restoration work and professional genealogy before the project starts! The company has been given an outstanding rating from the Better Business Bureau, and many customers have provided excellent testimonials of the business. Furthermore, the professional genealogist team has been extensively praised by family members of clients who have visited the company's profiles on Facebook, Google, YP, Foursquare, and Yelp. If you would like to receive an evaluation of your project and a free estimate, you should visit our contact page and complete the form. If you wish, you may also submit photographs with the form. If you would prefer to just talk about what you might want to do first, give us a call at +1-281-940-5870. I am extremely pleased that we’re now launching the flagship product I dreamed of when I started this company. I am extremely hopeful and optimistic that we can provide a new sense of happiness to those of you who are dying to find out more about where you came from.